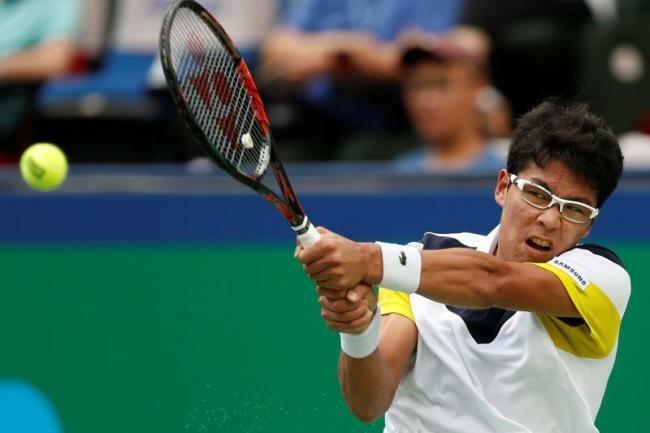 South Korean Chung Hyeon will skip his second straight ATP Tour event with an ankle injury. Chung, ranked 20th in the world, withdrew from the Lyon Open in the French city on Tuesday (local time), a day before he was to face the 75th-ranked Gilles Simon in the round of 16. As the fourth seed, Chung got a bye through the round of 32, and a win over Simon would have sent Chung to the quarterfinals against an unseeded opponent. But the nagging ankle problem has now kept the South Korean out of his second straight clay court event. He also pulled out of the Italian Open last week. Chung was supposed to have kicked off his clay court season at the Barcelona Open in April, but he missed that one too, with the ankle issue. Then in early May, Chung reached the semifinals at the BMW Open but has missed two of his next three tournaments since. At the Mutua Madrid Open, the one event in that span in which Chung played, the South Korean lost in the first round to Robin Haase. Chung is gearing up for the season's second Grand Slam tournament, the French Open, starting Sunday. He will likely become the first South Korean to be seeded at a major tournament.